We found some beautiful prints and unconventional designs at Natraj Market in Malad, West. In case you have an upcoming wedding and looking for something within your budget, head here! Located close to the Malad station, this small stretch of shops selling beautiful lehengas, sarees and kurtis is a heaven for brides to be. Nataraj market houses many high-end shops like Palkhi, Lady Lyka, Pari, Rajhans and Roop Niketan. 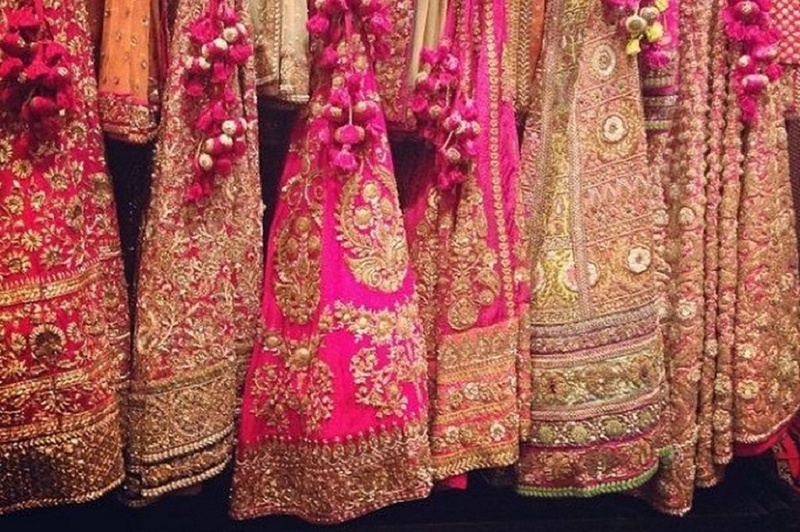 We inquired about their range of lehengas and were wowed by the diverse range. You can expect anything between 3000 to 75000 in these shops. They also sell designer outfits in prettiest fabrics. Everything from Gujrati sheesha work to a more subtle zardozi work, you name it and they have it.